Terry Allen, a visual artist with a big heart, is one of the most loved personalities from the world of American Southwest. 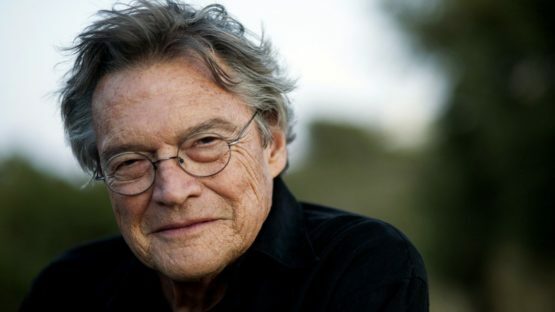 Musician, sculptor and theater enthusiast, Terry Allen is the perfect example of a Renaissance man. No matter if he’s composing a song or creating a sculpture, his unique sense of humor and criticism of the corporate machinery shine through his work. His playful mind doesn’t take music and paintings too seriously and prefers to see them as a source of personal joy. He loves to cite the great master of photography, Man Ray, who once said : You know, it’s OK to be a really bad artist, because they don’t hurt anybody. Not like a bad doctor. Terry Allen grew up in Lubbock in Texas, which is certainly not the most exciting place for a child. Allen spent his young days hiding out in movie theaters and he knew every single theater in Lubbock in the 1950s. These places were shelter for young Allen, who wanted to get away from problematic, alcohol-fueled atmosphere at home. Allen grew up in a musical environment since his father used to sing and play country music at home, so it is not surprising that he picked up music at very early age. 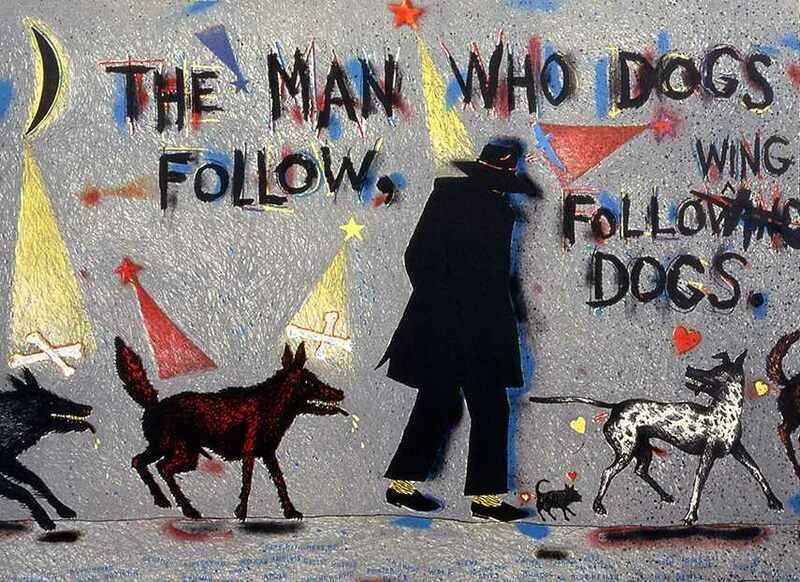 However, when it comes to painting, there was absolutely no one in Lubbock engaged in any sort of visual arts and Allen blames the city of Lubbock itself for the lack of talented individuals since it’s a boring flat place with harsh summers that last all year long, kill plants and make people tired. During his teenage years, the biggest visual impact for Allen came from the rock and roll stars and the aesthetics they cultivated. Also, once he was able to buy a car, he started to run away from Lubbock as often as possible. He decided to move to California, where he went to (Choinard Art Institute) and lived in Los Angeles throughout the 60s, coming back to Lubbock only to visit his family. 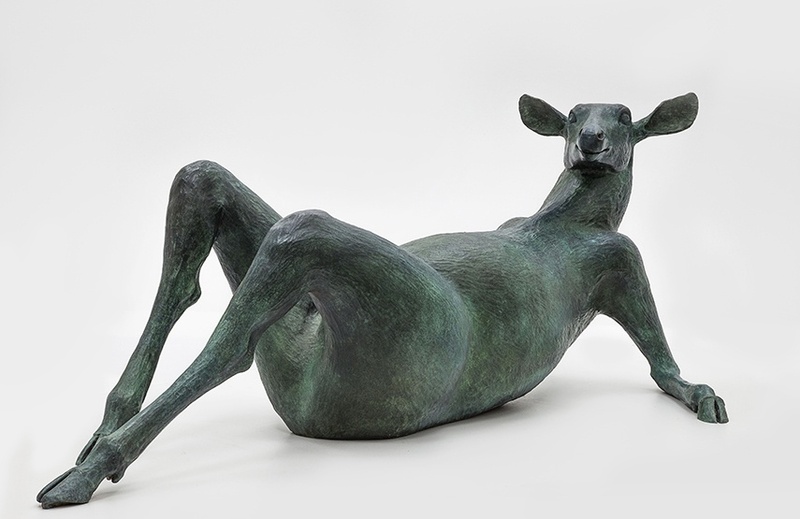 Already in 1966, Allen was established as a musician, sculptor and painter. Allen discovered, after he graduated from Choinard, that he can’t choose whether he enjoys more music or visual arts, so he kept being engaged in both realms. He writes brilliant lyrics for his music and his songs can’t be simply categorized as regular country songs. What he creates is a fine blend of rock and country, in which he sings about universal topics that anyone can relate to, such as family, love, religion, and violence. His work in multimedia also deals with universal issues, but there’s a significant portion of humor present in all of Allen’s sculptures, paintings, installations, even stage and radio plays. A good example of Allen’s approach is his sculptural installation called Humanature. It consists of 2 life-size figures, one male and one female, carved in clay and cast in bronze. The female statue is standing upside down, attached to a stone into which her head disappears while a headless male figure in business attire is leaning against a tree, looking confused and overwhelmed with problems. There are also some unintelligible sounds coming from the nearby speakers, as a part of the installation. These two figures symbolize the common human trait of turning a deaf ear, which means avoiding to acknowledge and accept reality. This is a very common human problem, especially in the modern era when we have to deal with so many things at the same time and Allen made a humorous remark about this behavioral trait through his installation. Allen has received numerous awards for his work along with the great honors such as Guggenheim Fellowship and National Endowment for the Art Fellowships. His work has been exhibited throughout the United States and internationally, in San Paolo, Paris and Sydney. Also, his pieces are present in many private and public collections, the most notable among them being The Metropolitan Museum and MOMA in New York. Exhibitions are just a small part of Allen’s success – he has also written a theater piece Dugout which was published in 2005 and he has worked in both radio and theater. No matter his major awards for sculptures and in theater, Allen never forgot his initial love that was music and has recorded 12 albums of original songs, first one called Juarez and his most recent one from 2013, named Bottom of the World. He is still very active artist not only in music – his latest group exhibitions were held in 2016, in Austin and Houston, TX. Terry Allen is equally famous for his music and visual art, but his paintings and sculpture have a wonderful complexity that completes his world of music. Allen is a musician who understood at some point that music is not enough and that he has much more to say. He chose visual arts as a means of the additional self-expression. 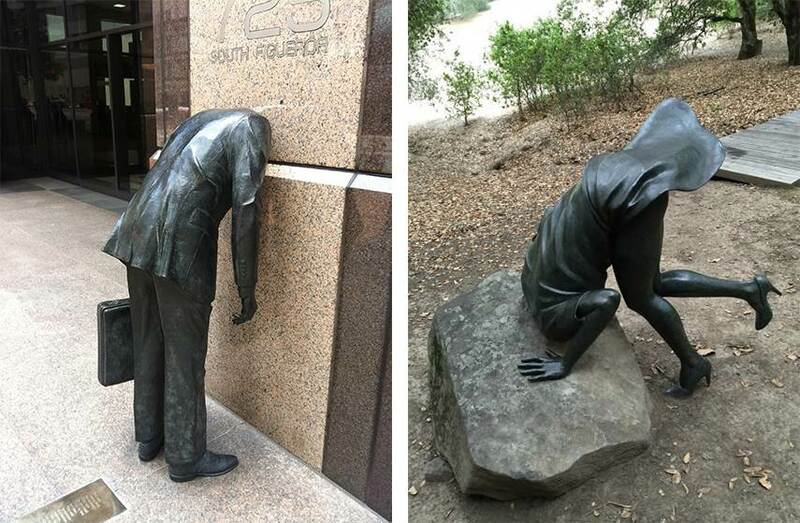 His sculptures that can be found in various public places throughout the United States are a brilliant commentary on many issues of the modern world, most notably the human obsession with money, lack of face to face communication and slavery within corporate systems. All of that is wrapped up in Allen’s unique heart-warming humor. 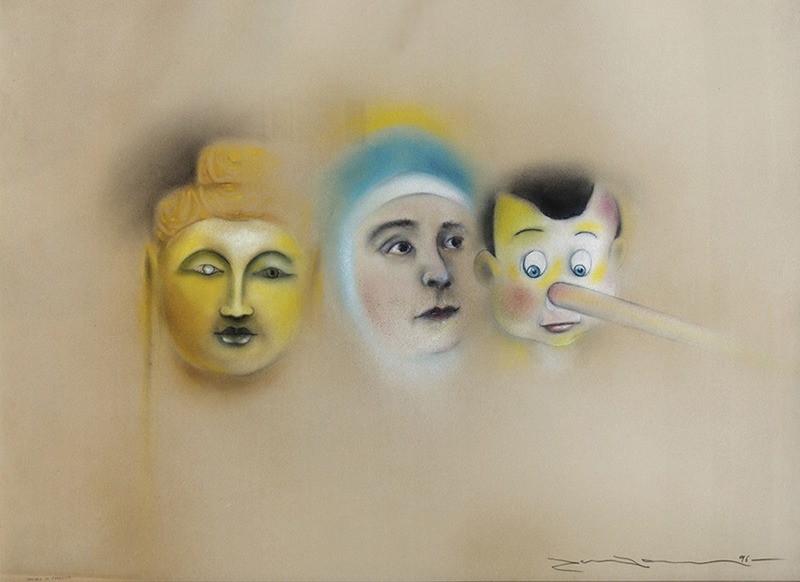 The artist is represented by Gregg Shienbaum Fine Art. Terry Allen lives and works in Santa Fe, New Mexico.